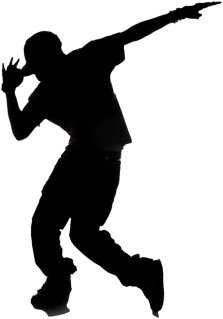 Freestyle Dancing (High Energy Freestyle Dancing), originated from the early disco days and began in the 1970s on street corners and public places where dancers would show off their improvisational skills. Los Angeles and New York were important locations for the evolution of freestyle dancing. 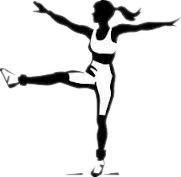 Freestyle dance classes are funky, modern and fun. Salsa is a popular form of social dance that originated in New York with strong influences from Latin America, particularly Puerto Rico, Cuba and Colombia. 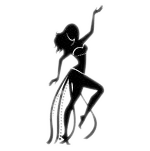 The movements of salsa have its origins in Cuban Son, Cha-cha-cha, Mambo and other dance forms, and the dance, along with the salsa music, originated in the mid-1970s in New York. Jazz dance is shared by a large range of dance styles. Before the 1950s, jazz dance relating to dance styles that originated from African American vernacular dance. Jazz dance was an integral part of jazz until the end of the swing era in the late 1940s. In the 1950s, a new genre of jazz dance — modern jazz dance — emerged, with roots in Caribbean traditional dance. Every individual style of jazz dance has roots traceable to one of these two distinct origins. Belly dance is a Western-coined name for a type of Middle Eastern dance. Originally a "solo, improvised dance involving torso articulation", belly dance takes many different forms depending on the country and region, both in costume and dance style, and new styles have evolved in the West as its popularity has spread globally. 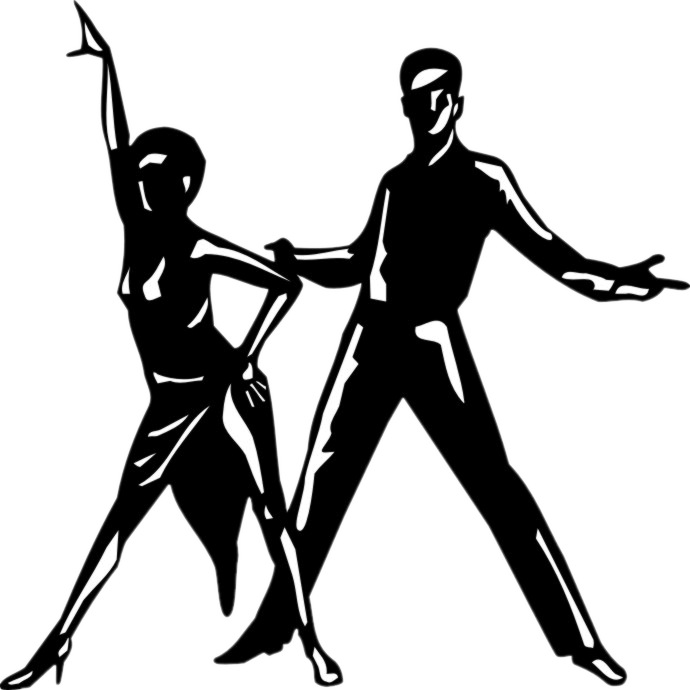 The term rumba may refer to a variety of unrelated music styles. Originally, the term rumba was used as a synonym for "party" in northern Cuba, and by the late 19th century it was used to denote the complex of secular music styles known as Cuban rumba.Since the early 20th century the term has been used in different countries to refer to distinct styles of music and dance. Samba is a Brazilian musical genre and dance style originating in Brazil, with its roots in Africa via the West African slave trade and African religious traditions, particularly Angola and the Congo. Although there were various forms of samba in Brazil in the form of various popular rhythms and regional dances that originated from the drumming, samba as music genre is seen as a musical expression of urban Rio de Janeiro. 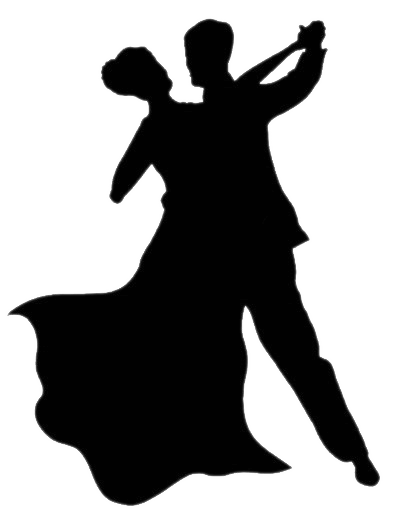 "Swing dance" is a group of dances that developed with the swing style of jazz music in the 1920s-1940s, with the origins of each dance predating the popular "swing era". 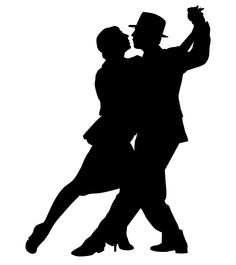 During the swing era, there were hundreds of styles of swing dancing, but those that have survived beyond that era include: Lindy Hop, Balboa, Collegiate Shag, and Lindy Charleston. Break Dance is a Commodore 64 rhythm game that relies on players making dancing moves that resemble the classic game Simon says. 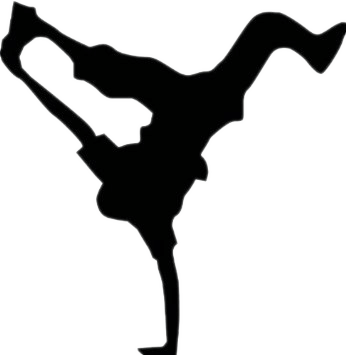 The game capitalized on early 1980s-era b-boying, which was a popular trend in American culture. The game was inspired by the films Flashdance and Beat Street. Aerobics is a form of physical exercise that combines rhythmic aerobic exercise with stretching and strength training routines with the goal of improving all elements of fitness. It is usually performed to music and may be practiced in a group setting led by an instructor (fitness professional), although it can be done solo and without musical accompaniment. Tap dance is a form of dance characterized by using the sounds of tap shoes striking the floor as a form of percussion. 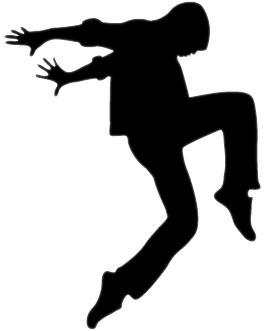 Two major variations on tap dance exist: rhythm (jazz) tap and Broadway tap. Broadway tap focuses on dance; it is widely performed in musical theater. Jaipur Sangeet Mahavidyalaya tap focuses on musicality, and practitioners consider themselves to be a part of the Jazz tradition. Flamenco is an artform and genre of music and dance native to the southern Spanish regions of Andalusia, Extremadura and Murcia. It includes cante (singing), toque (guitar playing), baile (dance) and jaleo, which refers to the vocalizations and rhythmic sounds of palmas (handclapping) and pitos (finger snapping). First mentioned in literature in 1774, the genre is thought to have grown out of Andalusian music and dance styles. Locking is a style of funk dance, which is today also associated with hip hop. The name is based on the concept of locking movements, which basically means freezing from a fast movement and "locking" in a certain position, holding that position for a short while and then continuing in the same speed as before. It relies on fast and distinct arm and hand movements combined with more relaxed hips and legs. The movements are generally large and exaggerated, and often very rhythmic and tightly synced with the music. Popping is a street dance and one of the original funk styles that came from California during the 1960s–1970s. It is based on the technique of quickly contracting and relaxing muscles to cause a jerk in the dancer's body, referred to as a pop or a hit. This is done continuously to the rhythm of a song in combination with various movements and poses. The robot is an illusionary street dance style – often confused with popping – that attempts to imitate a dancing robot or mannequin. Roboting gained fame after Michael Jackson used the dance when he performed "Dancing Machine" with his brothers, and later performed the dance during his solo career in songs such as "Billie Jean". A street dance is a dance style—regardless of country of origin—that evolved outside dance studios in any available open space such as streets, dance parties, block parties, parks, school yards, raves, and nightclubs. The term is used to describe vernacular dances in urban context. Vernacular dances are often improvisational and social in nature, encouraging interaction and contact with spectators and other dancers.